We have had a large flock of pipits around North Haven for a good week now constisting of 40-50 Rock Pipits and a similar number of Meadow Pipits. One amongst them had been causing us problems for a few days, looking whiter below with white outer tail feathers, less streaky back and similar in size to a Rock Pipit. 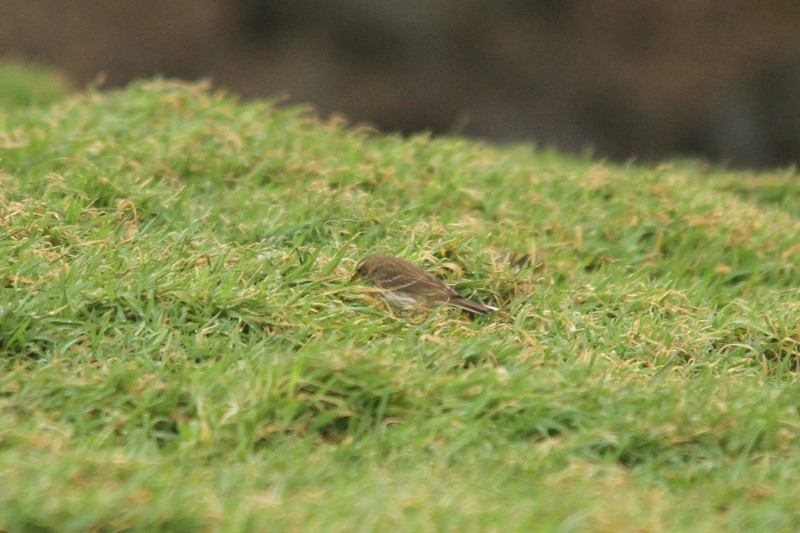 Good views were tricky as the flock is extremely mobile and flighty but I managed to get some photos eventually. 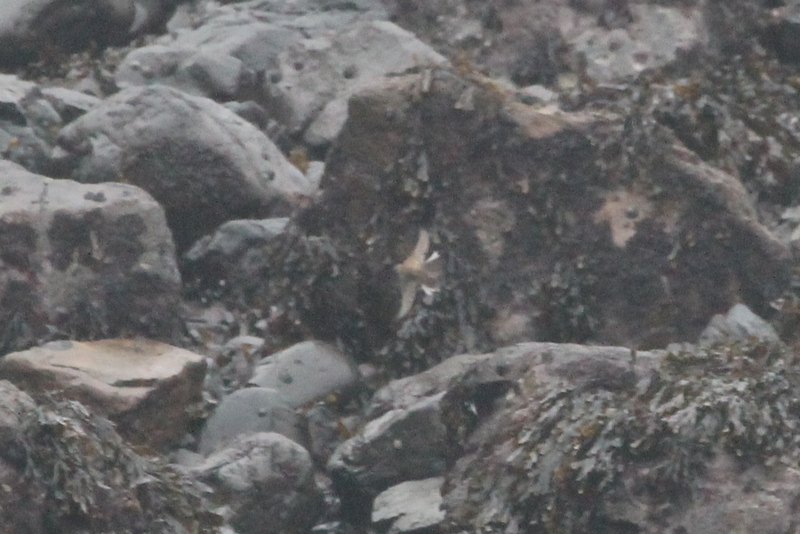 Looks to me like a Water Pipit. 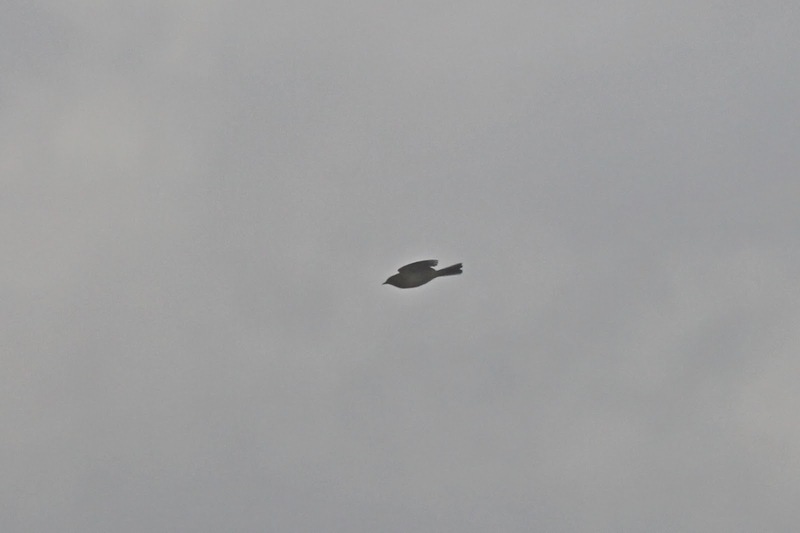 The second was encountered today and called several times like a Tawny Pipit. 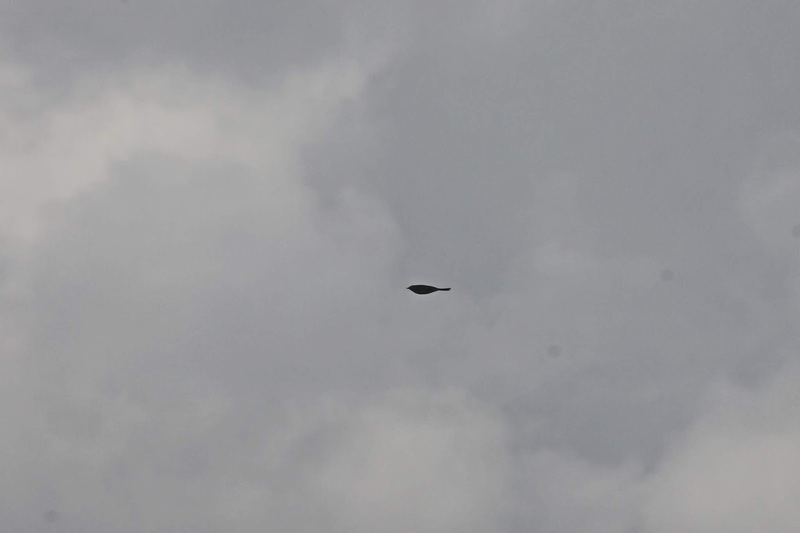 It was chased off by Meadow Pipits which it was clearly larger than and had a longish tail. 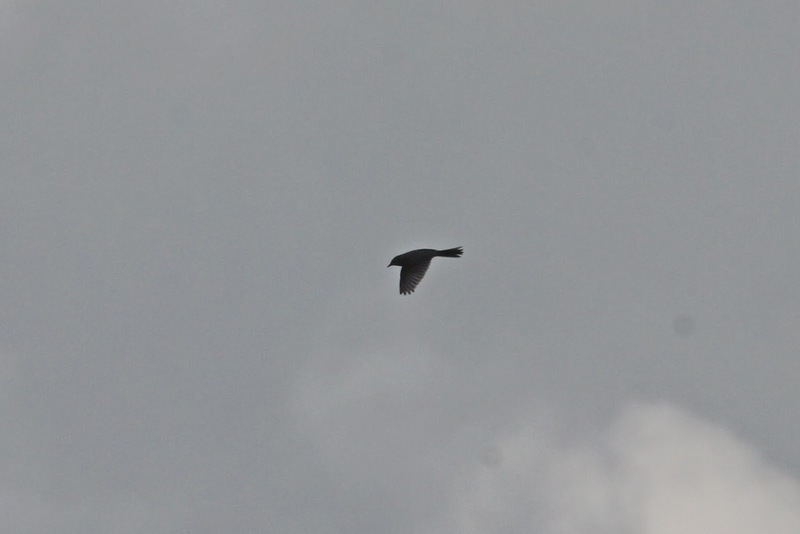 Unfortunately this one was not seen on the ground and my photos are silhouetted somehow. Can't really think what else it would be although it does seem rather late for Tawny. 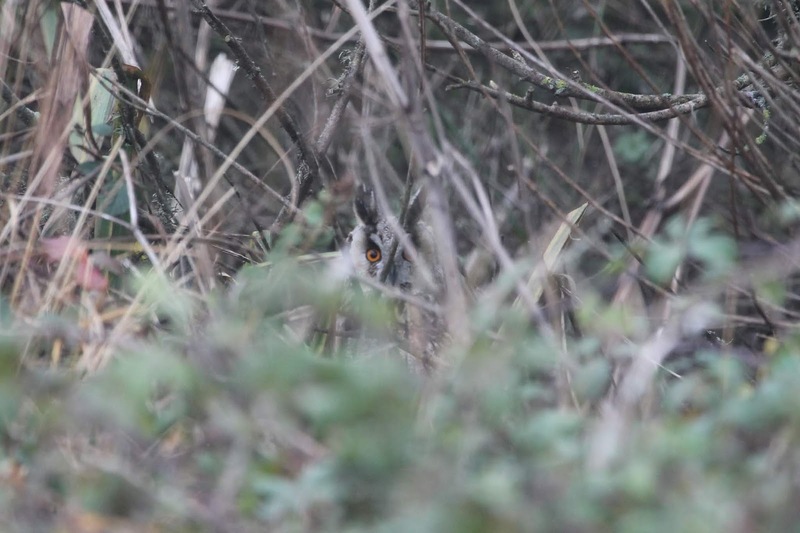 The three Long-eared Owls that have been in North Valley for the last four days are less ambiguous but a real treat nontheless.